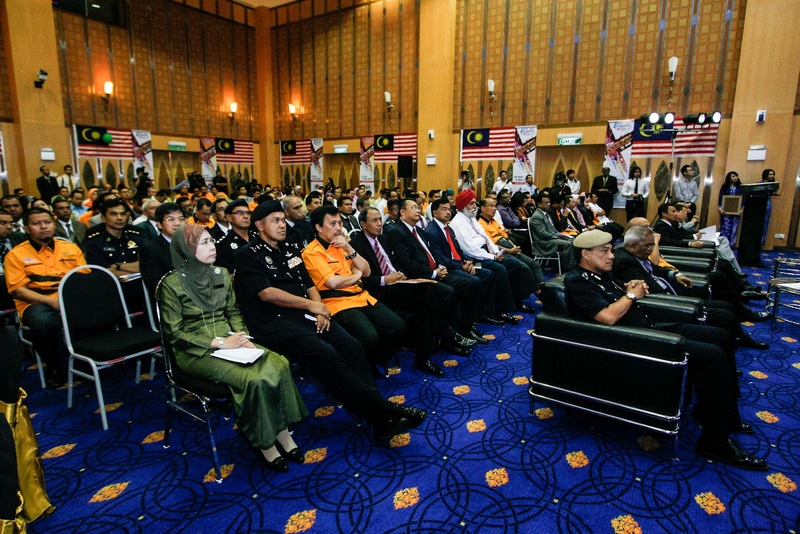 pulse media communications: THE HEAT IS ON! 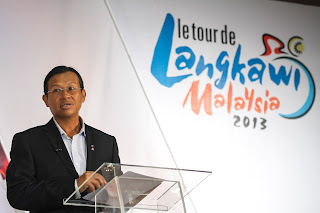 PUTRAJAYA, 18 September 2012 : The 18th edition of Le Tour de Langkawi from February 21 to March 2, 2013 is set to be marked not only with a return to it's legendary birthplace, but also with a more challenging route that includes climbs up both Cameron Highlands and Genting Highlands. 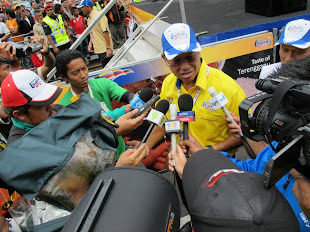 Minister of Youth and Sports YB Dato’ Sri Ahmad Shabery Cheek announced today that the race would also be visiting new host venues such as Serdang, Sungai Siput and Kuala Kangsar, while revisiting old stops such as Dungun and Mentakab. 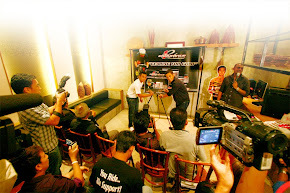 "This edition of the race will feature three hors category climbs, two at Cameron Highlands and one up Genting Highlands. 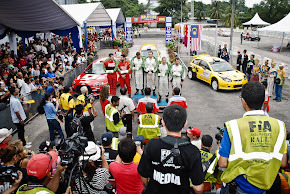 But before the Cameron Highlands climb which comes on Stage Three, the race heads into a tricky section on Stage Two from Serdang to Kuala Kangsar, which passes through Bukit Sumpitan, which is 800m above sea level and has a difficult gradient," said Dato’ Sri Ahmad Shabery. 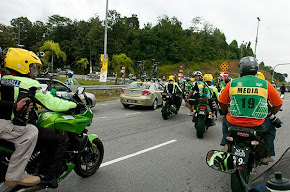 In fact, right from Stage One from Kangar to Kulim on February 21, the riders will be put through a test on Bukit Selambau, providing a tough race dotted with climbs in the earlier stages. 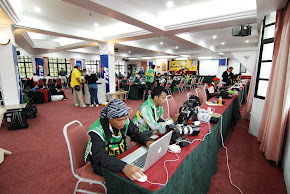 The LTdL 2013, which carries the tagline "The Heat is On", is dubbed as the hottest annual race in Asia, run under immense tropical heat, which seldom is part of the challenge in races across the continent. 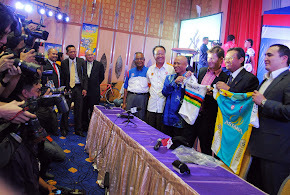 Thus far 22 teams, including UCI Pro Teams Astana and Garmin-Sharp have confirmed participation in the tour. Record stage winner Andrea Guardini of Italy, winner of the points classification last year, is expected to return with the Astana Pro Team of Kazakhstan after agreeing to sign for them from the Farnese Vini team last month. 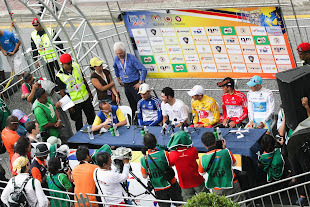 "Guardini also provided a healthy impact for the race last year. 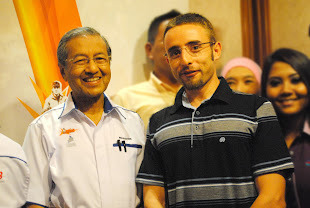 His success raised the interest of the Italian media about the race and last year we received increased coverage of the race in Italy because of that," said Dato’ Sri Ahmad Shabery. 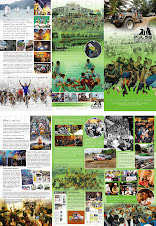 "Overall we have seen improvement in many areas, with studies showing that attendances at host venues for last year's race increased to a total of one million spectators compared to 800,000 the year before. The LTdL programme was also broadcast in 70 countries via sports channel Eurosport and was available to millions of viewers via the Cyclo Channel, an Internet TV site. 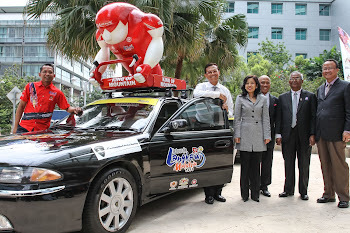 "The LTdL website also showed remarkable improvement in achieving more than 2.5 million hits. In terms of sponsorship, we managed to collect RM7.3 million in cash and kind from corporate sponsors last year, so we wish to thank all those who were involved and hope there is continued improvement in all areas." 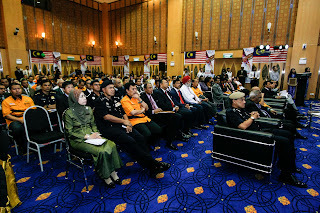 Dato’ Sri Ahmad Shabery also highlighted the fact that the UCI had also, for a third consecutive year, acknowledged the level of organisation by according the race an "excellent level of organisation" certificate. 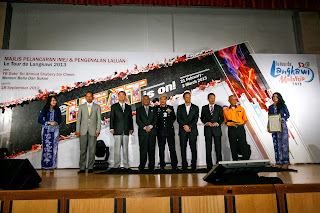 Also present in the launching were Ministry of Youth and Sports Secretary General Dato' Mohid Bin Mohamed, National Sports Council director general Dato' Seri Zolkples Embong, Terengganu Youth and Sports Exco YB Dato’ Salleh Mat Rashid, YB Tuan Haji Rozi Haji Mamat, Malaysian National Cycling Federation president Tuan Haji Abu Samah Abdul Wahab, YBHG Dato’ Zaidon Haji Asmuni, state officials and tour sponsors.